The add-on is useful when you have created the documentation in Google Docs or MS-Word. This means, you can import .docx file into the guide. The most important thing to remember is the .docx document should have the Heading 1 Text in order to get the navigation menu. The add-on will break the multiple Headings into different sections. Once the addon is active, you can see the “Import from Docx” tab just beside the Settings tab. 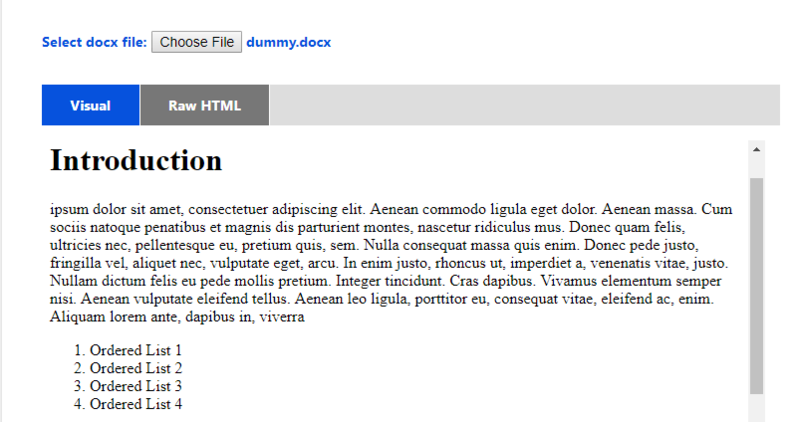 Click on it and you’ll be asked to browse the .docx file. 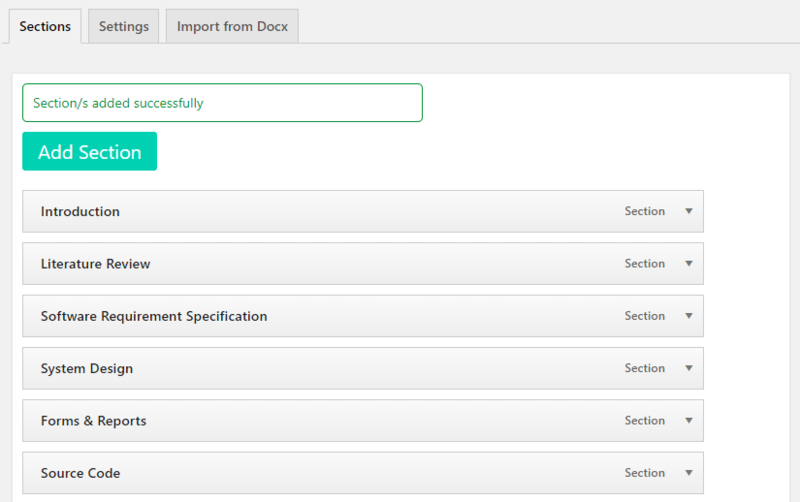 Select the .docx file and the addon will fetch the content from the docx file. Click on “Add to Guide button” and the content will be added in the Guide.